Matthew Cooper is the Chair of the Scientific Advisory Board of Adenium Biotechnology, a Danish company working on a new antibiotic clinical candidate. 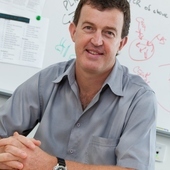 He receives funding from the NHMRC, NIH and Wellcome Trust. The University of Queensland provides funding as a member of The Conversation AU. Antibiotic-resistant superbugs are on the rise and we’re being urged to forgo antibiotics wherever possible to limit their spread. But serious bacterial infections can only be dealt with effectively using these drugs. So when should you take antibiotics? The easy answer, of course, is when your doctor tells you to. But there’s more to it. We know that rates of bacterial resistance track antibiotic usage rates. So, as a community, the more we take these drugs, the more likely we are to have superbugs down the line. And Australia may face a bleak future in these terms. • surgical prophylaxis (giving antibiotics before or during surgery to minimise the risk of infection) is used in 41% of cases, which is much higher than the recommended best practice of less than 5%. Clearly, we still don’t understand that antibiotics won’t kill viruses responsible for the flu and many common colds. And a majority of doctors take a seemingly lackadaisical approach to antibiotic stewardship. It’s no surprise then that the 2013 National Antimicrobial Prescribing Survey showed 30% of antibiotic prescriptions were inappropriate. • diarrhoea and more serious gut infections, such as those caused by Clostridium difficile. In general, a patient will be given antibiotics if her symptoms are severe (a high fever or skin rash, for instance, or inflammation spreading around an infection site); she has a higher risk of complications (such as an elderly patient with suspected pneumonia); or if the infection is persistent. To prescribe, the doctor makes an educated guess as to what may be causing the infection. This is based on knowledge of what type of bacteria are normally found in these cases and, if available, the patient’s history. But she doesn’t know exactly what type of bug is causing the infection. In the absence of an accurate diagnosis, as well as to minimise potential risk to the patient, a broad-spectrum antibiotic is used to “cover as many bases” as possible. Until we can develop point-of-care technology that can identify a bug on demand, such broad-spectrum drugs (the grenade approach to bacteria) are a better option for doctors than targeted specific drugs (a sniper against superbugs). But the latter is the better long-term option for the patient and the community, although it may not always work. One key problem with broad-spectrum “grenade” antibiotics is that they can cause collateral damage by killing a lot of good bacteria. We now know that we have about a kilogram and a half of good bacteria in our guts that help us digest food. 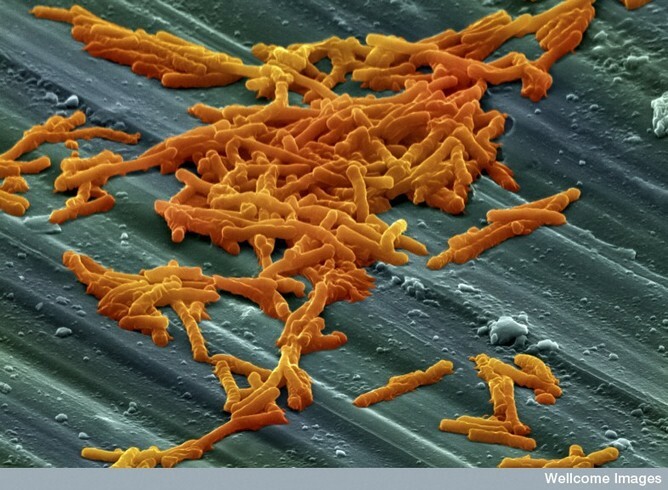 They also “crowd out” potential nasty infections caused by bad bacteria. There are cases where patients on antibiotics end up with diarrhoea, thrush (a vaginal infection caused by Candida that goes wild when protective bacteria are wiped out), or nasty infections, such as Clostridium difficile, that can lead to severe colitis. And it gets worse: a recent Danish study that followed more than a million patients found an association between frequency of antibiotic use and Type II diabetes, generating considerable media interest. It found people who received more than four courses of the drugs over 15 years were 53% more likely to develop diabetes. Of course, there’s the cause-effect corollary. People who were already heading towards the disease may simply have been less healthy, more prone to infection, and hence had more visits to the doctor to get antibiotics. The study showed an association between antibiotics and diabetes, not causality. So where do we stand now? Remember bacterial infections can kill, and antibiotics save lives, so if you’re really feeling crook, go to your doctor and take her advice. But also think twice. If you have a bad cold or think you have the flu, remember this may be due to a viral infection. And using antibiotics could do you more harm than good in the longer term. The real game changer in all of this will be a “tricorder” diagnostic that can identify a bug on site. With such a technology, a doctor could prescribe the right drug, the first time, in time. So be sensible about using antibiotics and let’s keep our eyes on this prize.